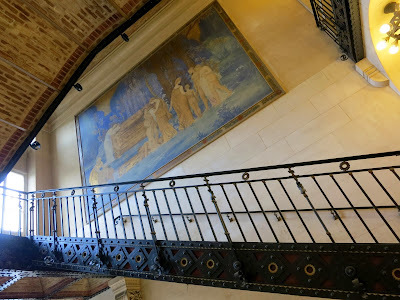 Last June, I participated in the meeting, The International Advanced Seminar in the Philosophy of Medicine (IASPM) that was held at the Patheon Center in Paris. To be exact, I had to participate in it because I was nominated as a junior chair of one of the three workshops. Our workshop was entitled "Knowledge and practice in medicine". Because I am not in this field, I first turned it down but my proposal was turned down. The following is my compt-rendu of the workshop. 1) Certainty and uncertainty in diagnosis and medical practice in general: Uncertainty is inherent in clinical medicine. Because there is always variability in the biological world and clinical manifestations of a disease are the results of dysregulation of mechanisms and complex interactions in systems, we have to cope with uncertainty in diagnosis and in treatment choice. In the event, we rely on the use of statistics, either frequentist or Bayesian or others, to have a statistical certainty or a kind of knowledge, but the relationship between cause and effect is probabilistic. Although the probability can be improved, how to control a variety of situations in uncertainty or the problem of risk remains to be solved. As William Osler (1849-1919) rightly pointed out a century ago, “medicine is a science of uncertainty and an art of probability” and thus “errors in judgment must occur in the practice of an art which consists largely of balancing probabilities”. We’ll have to deal with the problem of uncertainty and probability for many years to come. 2) Evidence-based medicine (EBM), personalized medicine (PM) vs. person-centered medicine/care (PCM/PCC), person-centered therapy (PCT): EBM is a rationalist approach to patients primarily by applying best available evidence or mathematical estimates of risk, derived from studies on the population level, to an individual. PM is a refined form of EBM, so to speak, that puts heavy emphasis on the genetic information. First of all, we have to ask what evidence is and how to deal with evidence hierarchies that are basically determined by methodologies used, such as case studies, cohort studies or randomized controlled trials. At this juncture, the notion of ‘bias’ was discussed. A bias is a systematic error that can distort scientific investigation and occur at various levels such as design, selection, and detection. There is also a cognitive bias in decision-making that is not based on evidence. When there is not enough time or information, people often use heuristics, experience-based shortcut techniques, to make judgment, as widely discussed by Amos Tversky (1937-1996) and Daniel Kahneman (1934-). This approach is naturally criticized by EBM, but is very effective in certain situations. How to reconcile this dilemma remains to be debated. These two styles of medicine heavily rely on the physical, chemical or mathematical evidence, and pay little attention to the history and culture of patients. To fill this gap, there is an alternative movement called PCM and PCC to treat patients with more holistic and humanistic eyes by incorporating historical or cultural aspects of patients. In the same vein, PCT was developed by American psychologist Carl Rogers (1902-1987) as a humanistic psychotherapy. This approach has an influence not only on psychology but also on education, counseling and rehabilitation. However, it is important to discuss as to what “person-centeredness” signifies and whether medical practice should be person-centered. Although the journal such as Journal of Person-centered Medicine has been launched, this branch of medicine does not yet seem to gain a momentum to become a major movement. One of the reasons may be that as in science, most practitioners of today’s medicine try to pursue their work in well-established, main-stream fields, and tend to neglect newly-developed, minor areas. Since EBM or PM does not cover all the aspects required for satisfactory treatment of patients, we need more humanistic and holistic considerations for better medical care. My provisional conclusion after the workshop was that on the one hand, EBM- or PM-type approach has to be further refined in a rationalistic direction, but on the other hand, humanistic, historical, and cultural aspects have to be incorporated in the treatment of patients. How these apparently disparate efforts are harmonized and synthesized will be a future task for philosophers of medicine as well as medical practitioners. I hope the problem of ‘knowledge and practice’ will continue to be discussed in the future workshop.